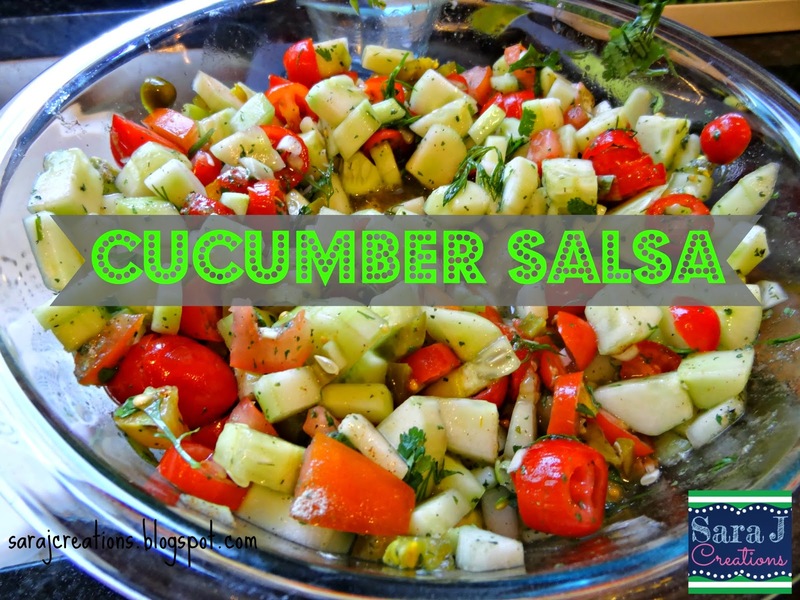 I mentioned in my Five For Friday post last week that I would post a cucumber salsa recipe...here it is! So confession number one…this isn’t an original recipe. My sister-in-law gave it to me and she got it from someone who got it from someone. So I don’t actually know where it originated but I know that it is DELICIOUS! She turned us onto it a few summers ago and it has been my go to summer dip ever since. I especially love that I can use many ingredients from my garden in it. It actually kills me to make this before my garden is in full swing…I hate buying tomatoes knowing I’m about to have a ton in the garden. Luckily the timing is about right at my house right now. We just picked our seventh cucumber and we are getting a new red tomato each day. I also had some grape tomatoes that I needed to use up so I threw those in with this batch too. 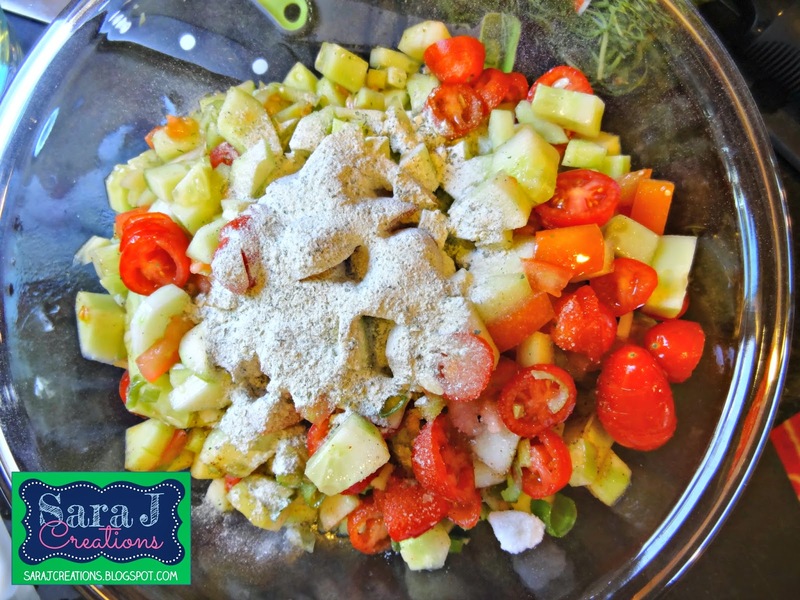 In a colander, combine cucumbers & tomatoes. Let juices drain. 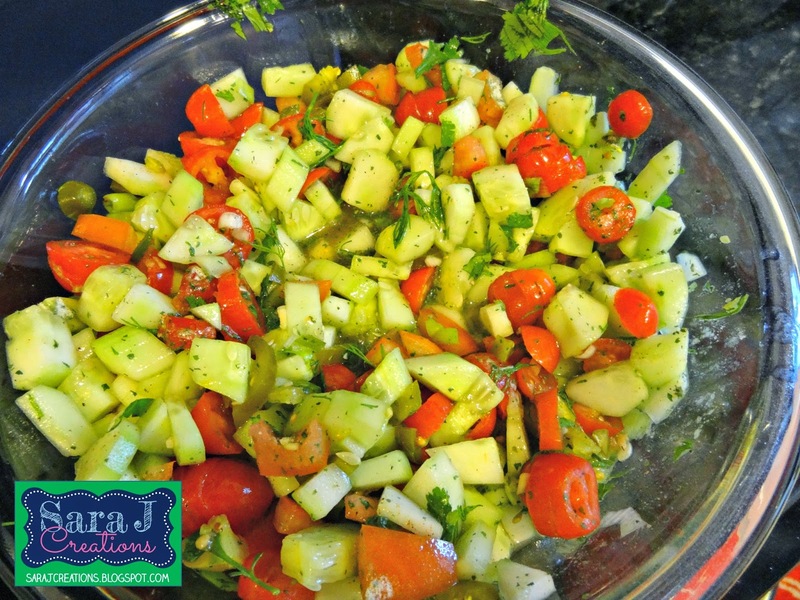 In a large bowl mix cucumbers, tomatoes, cilantro, jalapeno & onion. 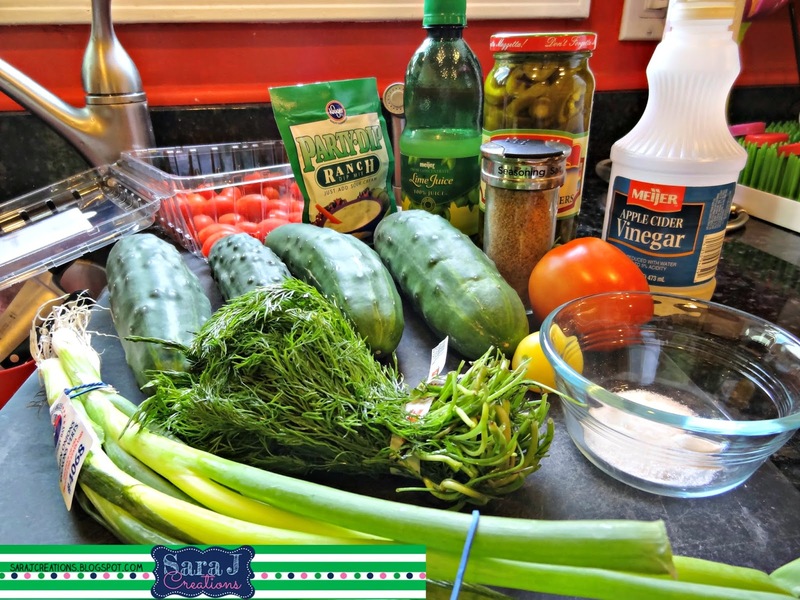 In a small bowl combine vinegar, sugar, ranch mix, lime juice, dill and salt. Whisk until well blended. Pour over cucumber mixture, stir and refrigerate. Serve with tortilla chips. Also good as a relish on hot dogs, brats and burgers. Okay here are my notes on the recipe. I don’t seed the cucumbers or tomatoes. I did the first time I made it but I wasted so much of the cucumber. I’m not bothered by the seeds of either being in it so I just chop them up. I do let them drain to let some juices out but it gets super juicy in the bowl anyway. I don’t really mind it because it marinades itself and makes it even more delicious. So my original recipe said to add onions but never said what kind of how many. I don’t love raw onions so I just add a few green onions sliced thin. And because I can be a lazy cook, I don’t usually use two different bowls. I just throw it all in, stir it up and then refrigerate it for a little bit before digging in. Oh I didn't even think about that! We are all about the ranch around here. I forgot until someone commented when my daughter was dipping food in ranch that she was a "good midwestern girl" - so I don't think it is even common throughout the USA. Let me know if you think of a good substitute. I wonder if an italian dressing packet would work. Might be a little different taste but still good.